Explore the unknown or stroll along familiar paths. Go jogging. Enjoy your time together and share your passions with your kids. 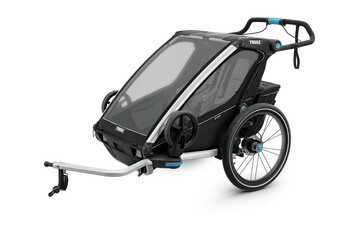 A Thule stroller is perfect for getting around comfortably. Anywhere, anytime, any season. 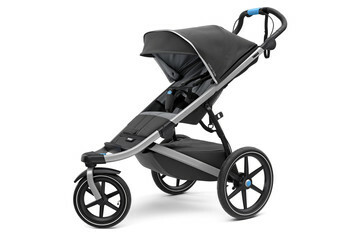 Flexible and stylish single stroller with multiple configurations for urban exploration. Can be configurated as a double stroller or a twin stroller. 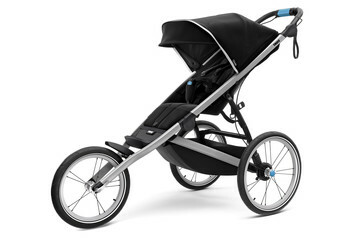 All-terrain stroller with a sleek, lightweight design. 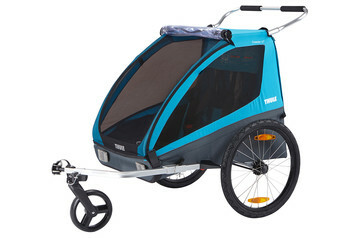 For urban adventures or casual strolls on your favorite path. 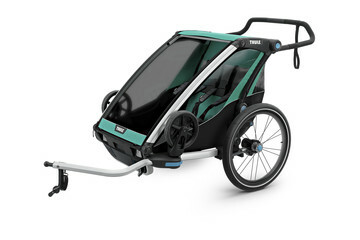 High-performance jogging stroller with a lightweight, aerodynamic design for a great run – on any terrain. Trailer, jogger, and stroller – this flexible performer does it all. The ultimate in comfort and style for athletes and their kids. At Thule, we are all about living an active lifestyle, both in the city and the great outdoors. 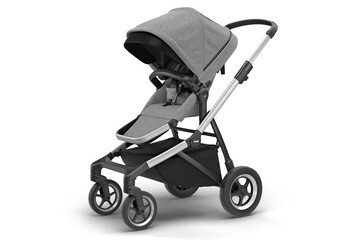 Thule strollers have a contemporary design, are easy to handle and have superior comfort for both parent and child. Always flexible, safe and stylish. 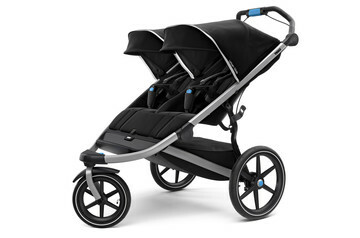 Single, double or twin stroller – which one matches your needs? 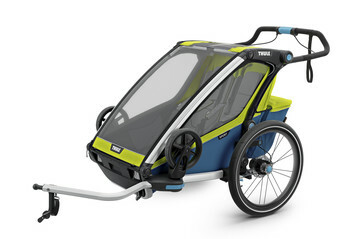 Thule strollers let you and your kids share a great day out in nature or in the city – with both you and your little ones safe and comfortable! 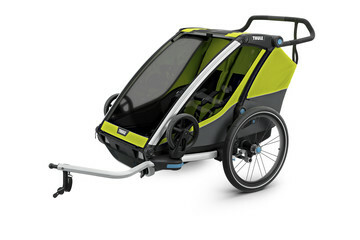 The ultimate trailer, jogger, and stroller with great performance, comfort, and style for athletes and their kids. Black version includes cycling, strolling and jogging kit. The robust and roomy trailer for daily commutes for the busy family.